Lights checked. Ovens warmed up. Beer flowing. Everything is almost ready, all we need to do is test it out with our closest friends. 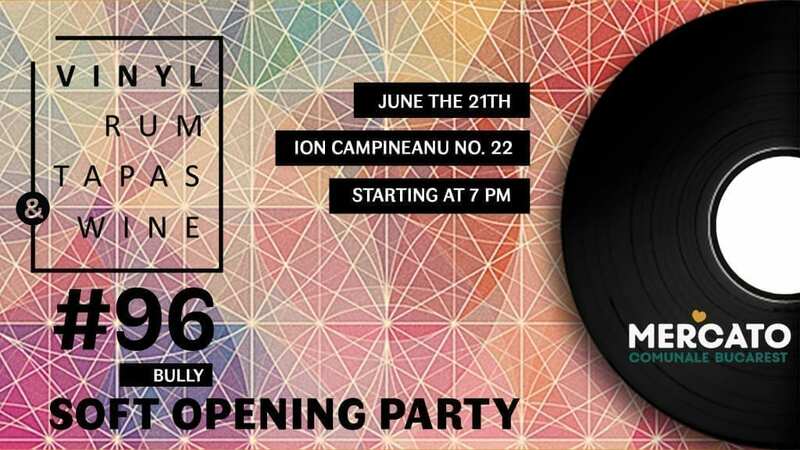 Join us for our soft opening party and together with the well-known party starters from VRTW, we will introduce you into the Mercato Comunale Bucarest vibe. Mercato Comunale is a stunning piece of pop up garden that meets an urban jungle design created to celebrate good quality street food and local producers in the center of the city. As usual, VRTW is on for „curator mode”- vinyl lovers are invited to showcase some of their jazz/ funk/soul/rock’n’roll records with us. Listening to a vinyl record is a labour of love that brings people together. For a few hours, plan to forget digital, processed, targeted, business-driven, compressed sounds and enjoy the music like it was meant to be enjoyed. We invite you to feel with us, to play, to enjoy some energetic drinks, to dance, to meet people over a glass of great wine and to chill out with some tapas.